The Blue Heron team is particularly committed to the natural environment, believing it is vital to creating stronger communities. Our team has a special connection to the Triangle Land Conservancy, a non-profit organization that aims to protect important open spaces – stream corridors, forests, wildlife habitats, farmland, and natural areas. In partnership with simplyRBD, Jumping Rock created a series of 5 videos for Triangle Land Conservancy. These short documentaries highlight some of TLC’s amazing efforts to connect the community with nature and raise awareness of how important land conservation is in the triangle. Blue Heron Asset Management hosted a Habitat Build Day in cooperation with Durham Habitat for Humanity on Friday, September 25. The Blue Heron staff was joined by investors from Funds I and II as we spent a cold and rainy day working on the future home of Mary Clare Sommerville and her 2-year old daughter Hartley. Durham Habitat builds not only new construction, but also does reconstruction on older, historic homes, like this home on Taylor St. They tear existing homes down to the studs and then rebuild based on Habitat green guidelines as well as Durham historic preservation guidelines. Mary Clare and Hartley moved into their new home just before Christmas, 2015. 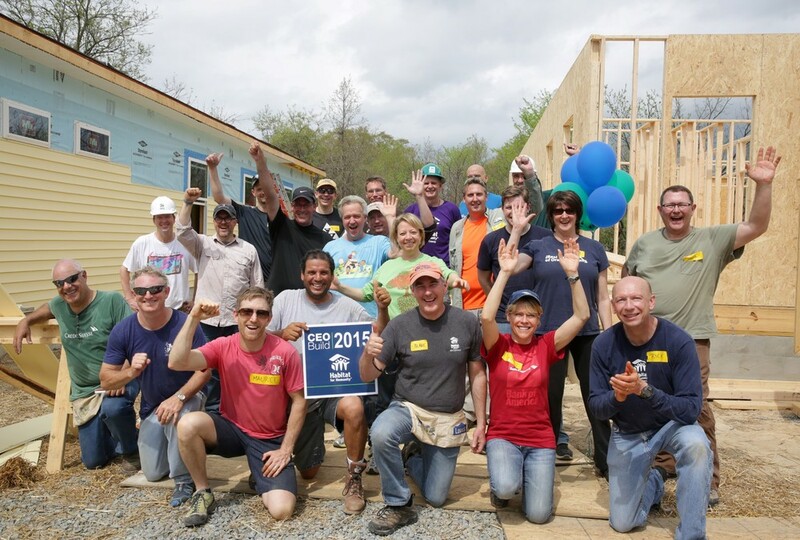 Each year, Maurice Malfatti joins other Triangle CEOs at Habitat for Humanity’s CEO Build. The CEO Build is an initiative led by business leaders from across the Triangle in partnership with Habitat for Humanity affiliates in Durham, Orange and Wake counties. Together they are working to build stable foundations for local families and children. In addition to spending the day building community with Triangle leaders, the sponsorship investments allow three dedicated families to buy homes in each of the three counties. Volunteers did everything from dig footings, to raising walls and installing siding.